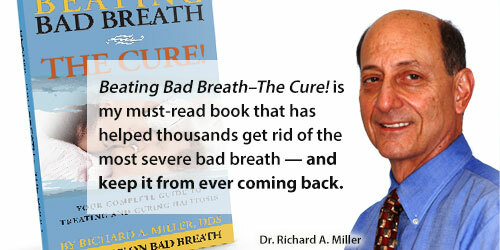 Talk with our breath counselor about bad breath treatment options. 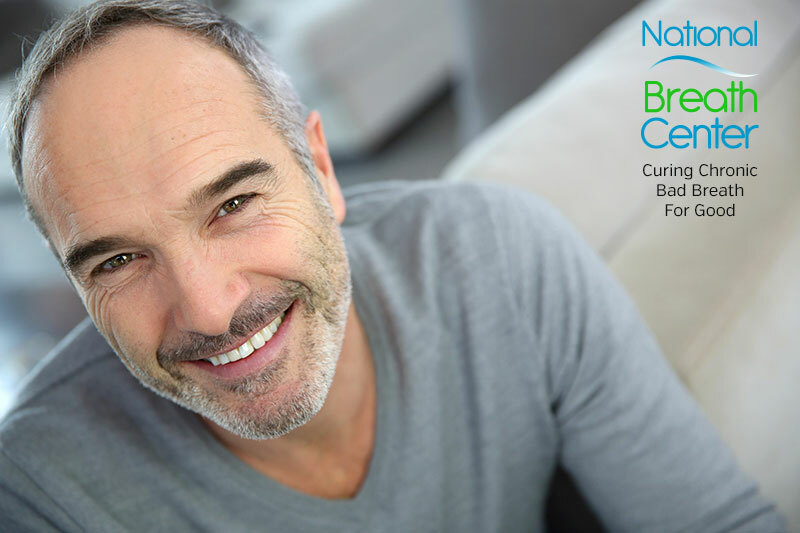 Since 1993, the National Breath Center has been helping people enjoy life again without the embarrassment of severe chronic bad breath. Our Halitosis Elimination Program is unique; and, for many patients, has been life-changing. Unlike anything you would have or will experience at other bad breath clinics which simply provide a regimen of products, our treatment goes deeper–removing the causes of bad breath directly at the source of the problem. In fact, Tongue Rejuvenation® is so successful, we offer a money-back guarantee. You deserve a halitosis treatment program that is tailored to your specific needs. Our team, led by halitosis expert Dr. Richard A. Miller, will create an individualized program just for you, based on the results of your comprehensive halitosis exam. We provide compassionate, confidential care that produces lasting results that you can maintain for life. Are you tired of bad breath controlling your life, jeopardizing job opportunities and threatening your personal and social relationships? We understand the stress bad breath causes, and more importantly, we know how to remove the problem at its source. We are ready to help you rediscover the real you and return happiness and confidence to your life — free from severe bad breath. Schedule a free, 15-minute phone consultation with our breath counselor today. Diagnosing the severity of bad breath is key to determining if you are a candidate Tongue Rejuvenation®. During the comprehensive halitosis exam bad breath expert, Dr. Richard Miller and his team, will uncover the total picture of your situation and the path to removing the causes of your chronic bad breath. Tongue Rejuvenation®, part of the National Breath Center’s Halitosis Elimination Program, removes the root causes of bad breath at their source. This is not a product-based “cover-up” treatment. Instead, our in-office technique meticulously removes the odor-causing biofilms. Our Halitosis Elimination Program is not complete until we provide you with an easy-to-follow personalized maintenance program to help you keep bad breath from ever returning. 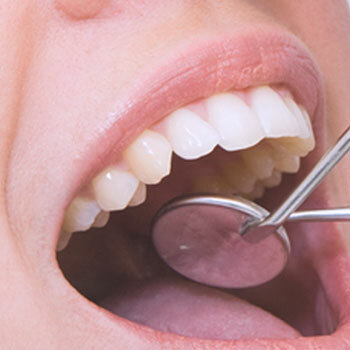 Dr. Miller and his team will make sure you know the oral hygiene techniques necessary for maintaining your breath cure for life.